Our immersive residency relies on open source culture and technology to help you solve your toughest business challenges. 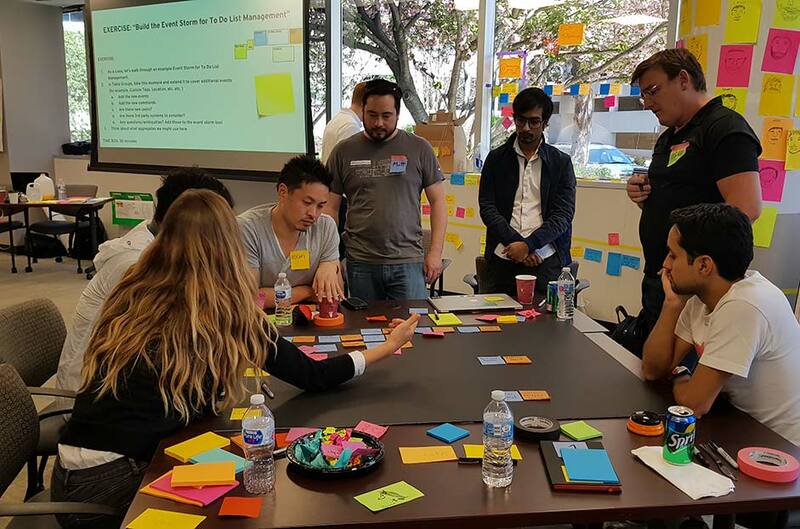 We'll connect you with the people, processes, and open source tools you need to ramp up the pace of innovation—and build something that’s never been built before. When it comes to fostering innovation, we recognize that carefully crafting the physical environment is as important as the framework and the team. In this transparent and open space, your residency will align cross-functional teams to shared goals and boost work visualization—then equip them with the best of open source tooling. Since your residency is not locked into a prescribed group of methods or practices, you’ll be able to identify and chart the best path forward as a team. 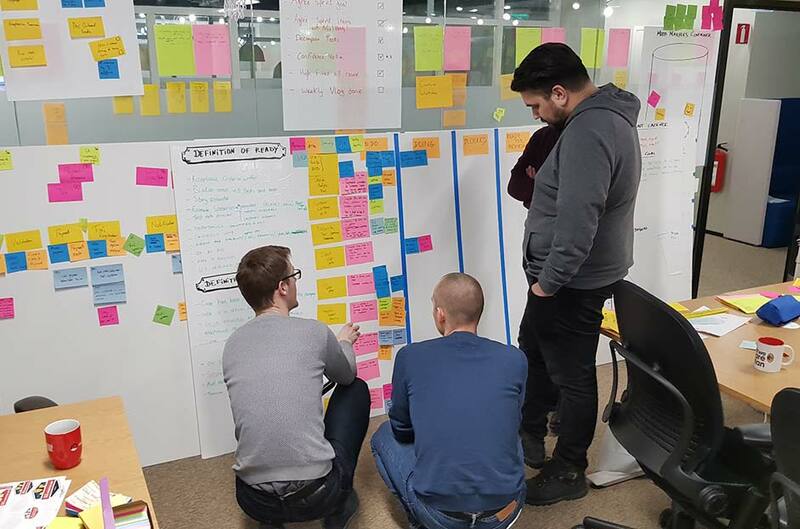 Over the course of 1-3 months of intensive collaboration at a location of your choosing, the team will tackle a real problem that your company faces, identifying potential solutions through tools like event storming and impact mapping. A social contract, pairing, mentoring, and other practices that are captured in the Open Practice Library will help cultivate transparency and trust on the team, essential ingredients for successful team forming. 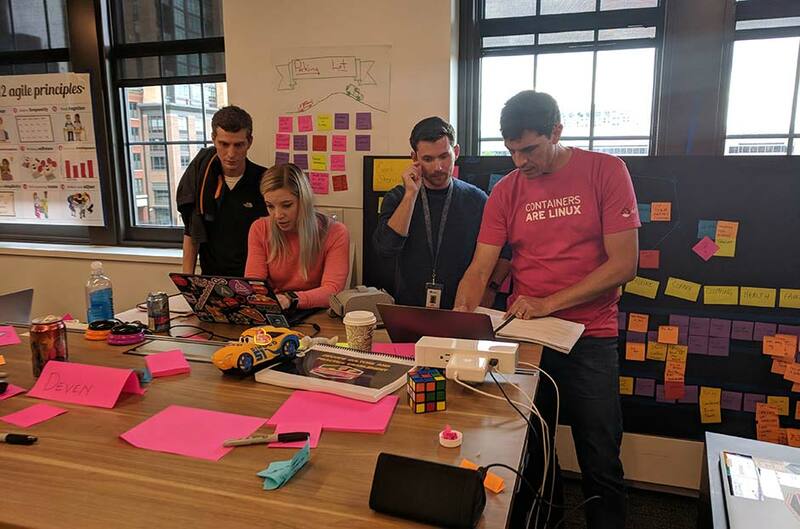 Your team will work incrementally, using tools like our push-button infrastructure, which is automated by Ansible Playbooks to allow for rapid development and experimentation. By solving one problem at a time on one technology at a time, your residency will break big ideas into small tasks as you build toward an integrated solution to demo to sponsors. We host Demo Days at the close of every residency to ensure the team is presenting to and getting ideas from the right stakeholders. 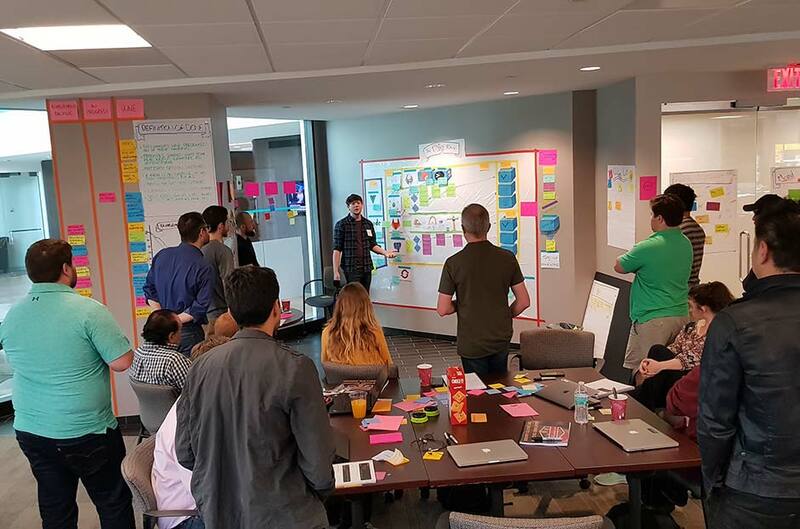 This opportunity allows your team to share your progress while capturing learning opportunities and backlog ideas. Armed with this instant and honest input, your team will start to build a roadmap for bringing your product to life. The roadmap is supplemented by mentorship and enablement resources, including a Red Hat Learning Subscription. 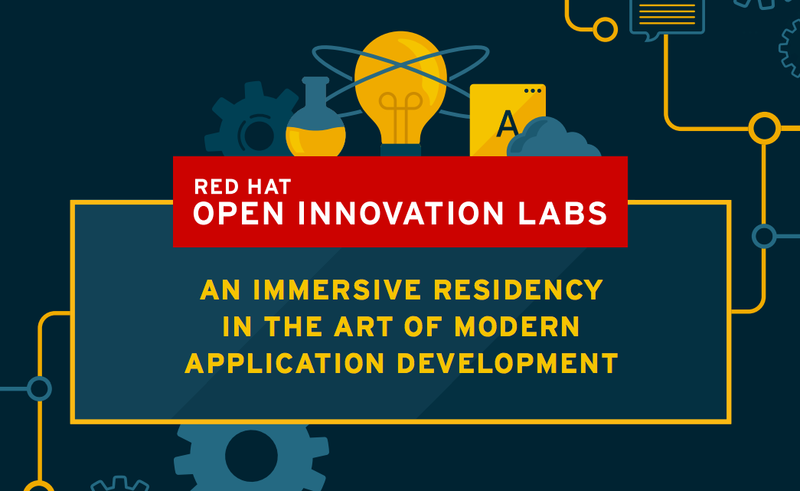 This benefit provides a year of unlimited, on-demand access to all Red Hat training courses, so you can add practical skills to the hands-on learning you’ve experienced through your residency. By sharing this knowledge, you’ll enable and engage other teams to develop an approach that can be scaled throughout your business to proactively address other challenges. These companies addressed business challenges by tapping into the power of people, process, and technology through our residencies. 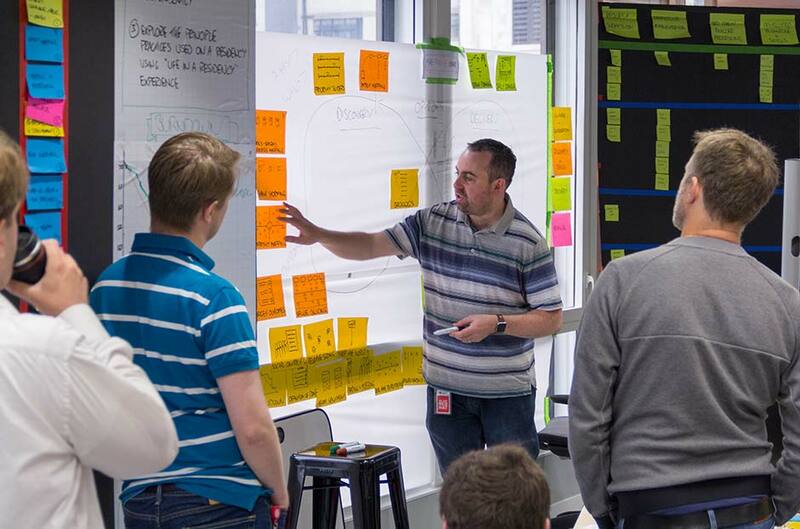 Learn more about how Australia's largest customer-owned bank reinvigorated corporate culture with Open Innovation Labs. 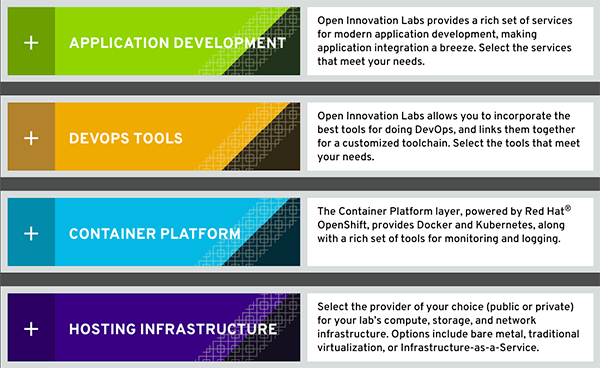 Our open source communities are a hotbed of idea exchange and discussion surrounding best practices. Check out the latest discussions and get involved yourself. Ready to begin your journey? You can explore your possibilities with our interactive push-button infrastructure and read up on how our engagements help your team build software in the most open of ways.